The Canadian government’s recent implementation of the Provisional Safeguard Surtax and the U.S. Countermeasures Surtax, in addition to existing duties imposed under the Special Import Measures Act (SIMA), will require importers to know their products and be more vigilant than ever concerning these three programs. Regulatory expert Linda Cybulski will provide you with an overview of these programs and their potential impact on Canadian industries. Learn about CBSA requirements and the regulatory tools available for importers to determine whether goods are subject to additional duties or surtaxes. See what you can do to keep your business compliant and avoid penalties. 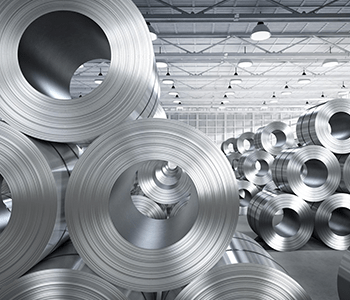 Importers of steel and aluminum products, among other general importers directly impacted by SIMA and the U.S. Surtax, should attend this session. As a Regulatory Analyst, Linda provides regulatory guidance to Livingston colleagues and ensures compliance with laws and regulations governing international trade. Linda has extensive knowledge around the Special Import Measures Act (SIMA), Classification, Accounting for imported goods, Professional Brokerage Certification, the North American Free Trade Agreement (NAFTA) and goods and services tax (GST). Linda was a guest speaker for the International Trade program at Seneca, and represented Livingston at local colleges and at Brock University. She holds a BA in Psychology, a CIFFA diploma and certifications as a Customs Certified Specialist (CCS) and Certified Trade Compliance Specialist (CTCS).